Photo: Woman in brightly colored clothing smiles. Although the remote Turkana Basin does not have the tourism economy enjoyed by other regions of Kenya, many people do travel to the area. Turkana communities often engage in traditional dances and ceremonies to share their culture and supplement their income. 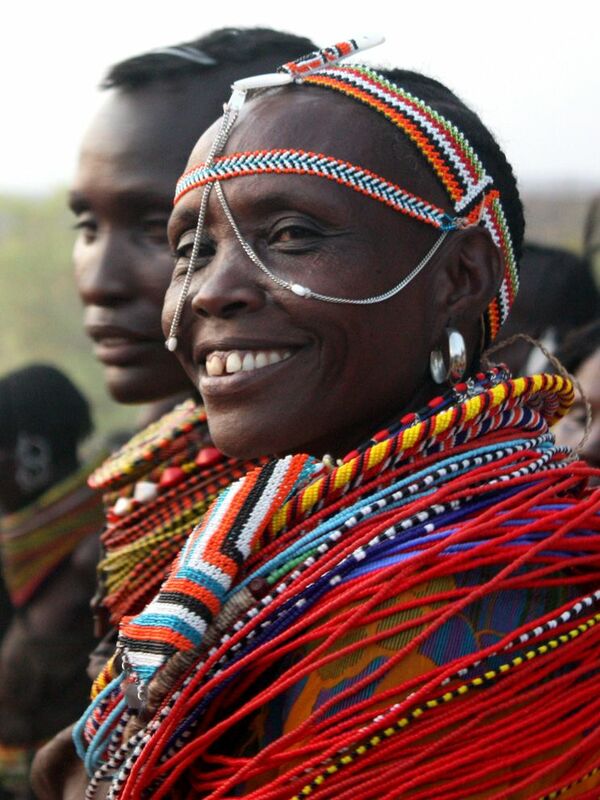 Here, a Turkana woman dresses in traditional costume for a dance. Case Study. Friends of Lake Turkana work to preserve the lake's ecology by halting construction of an upstream dam.